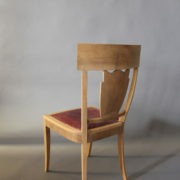 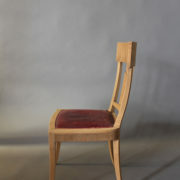 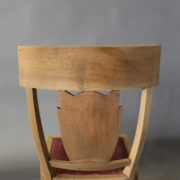 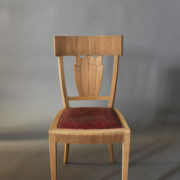 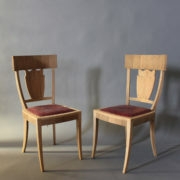 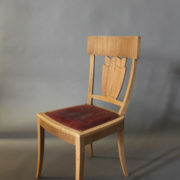 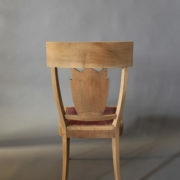 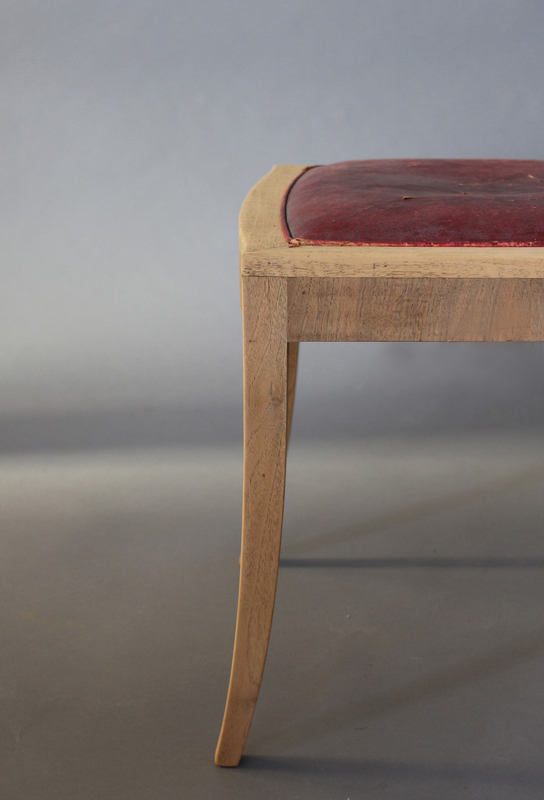 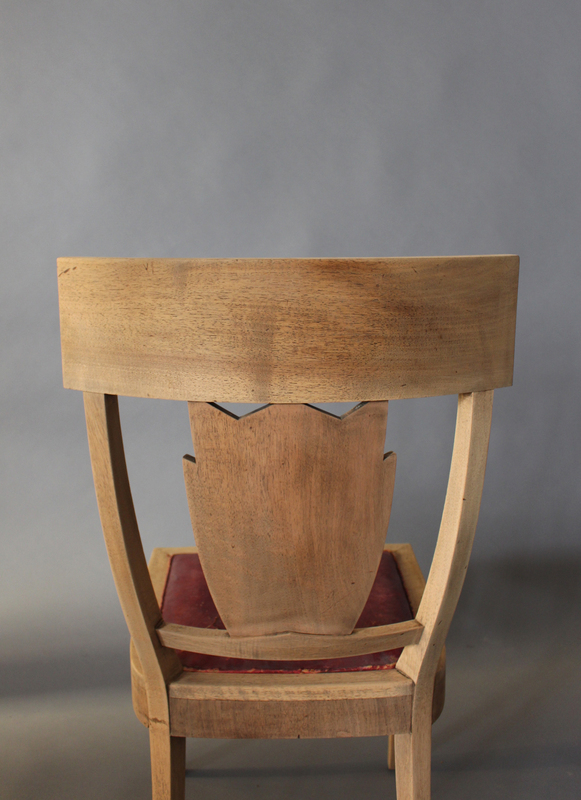 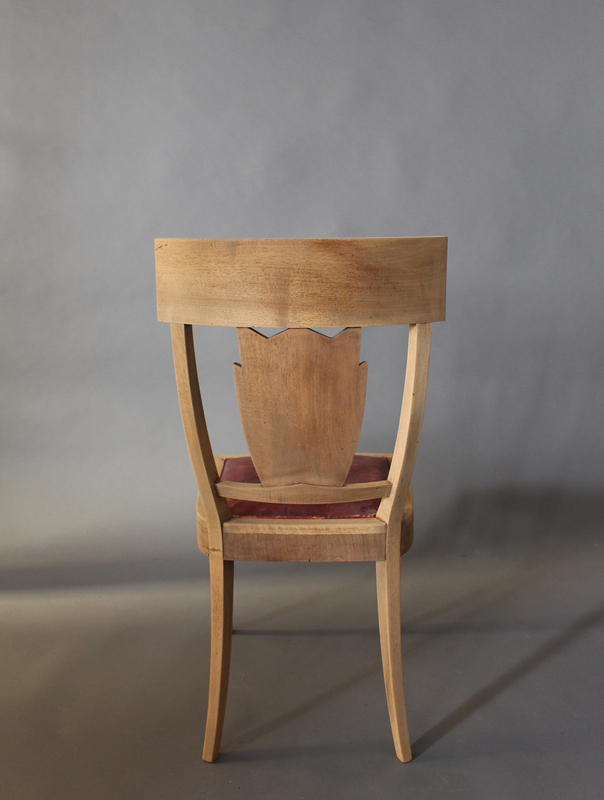 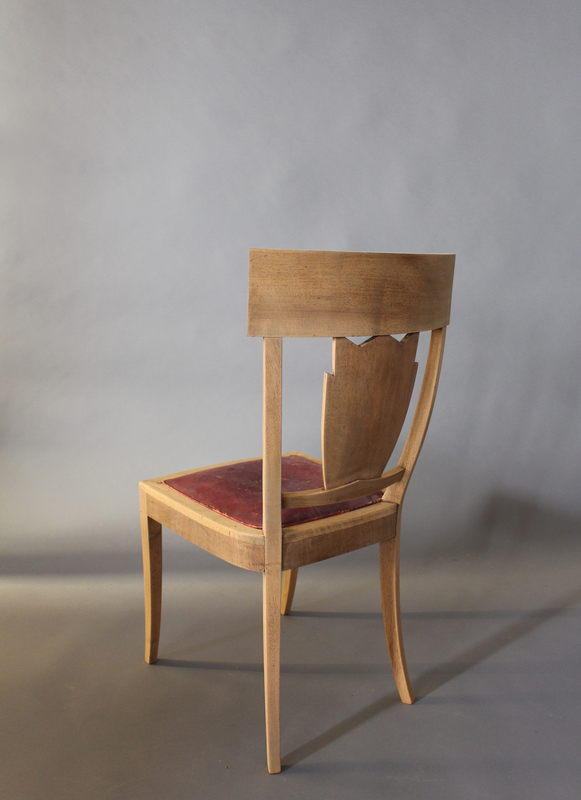 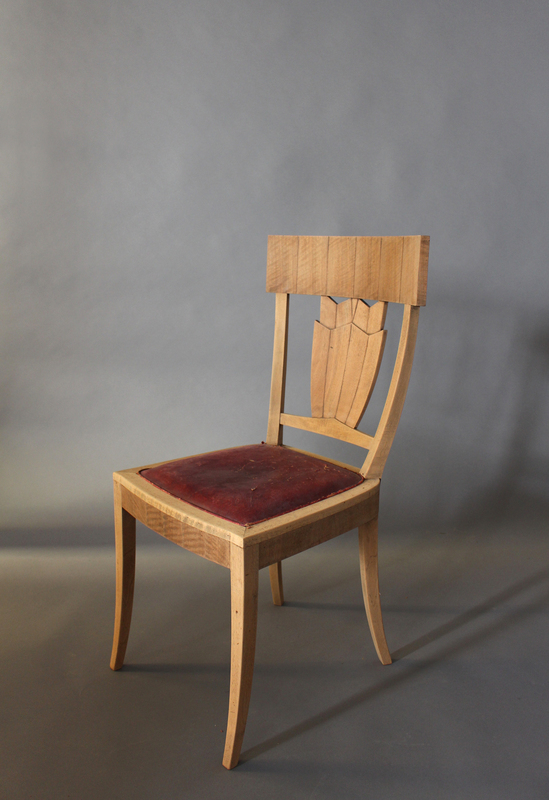 Refine, with saber legs, a curved back and a tulip shape medallion. 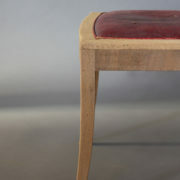 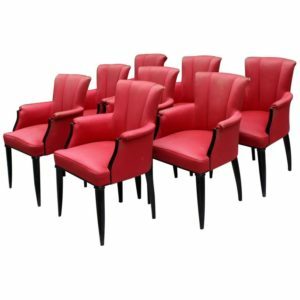 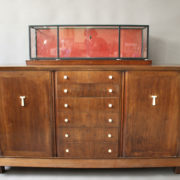 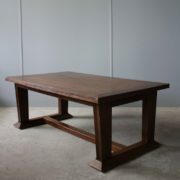 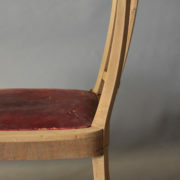 Price includes refinishing and re-upholstery with client fabric/leather. 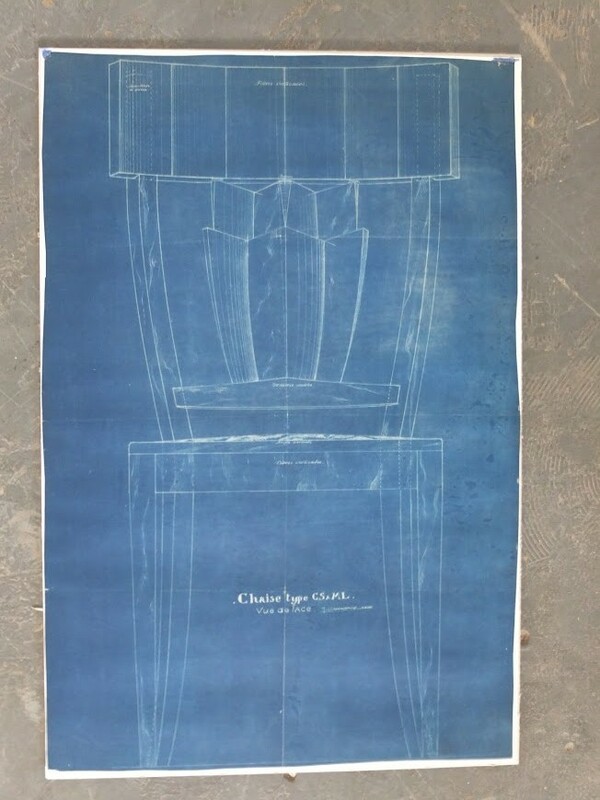 A copy of the original blue print will be given to the purchaser. 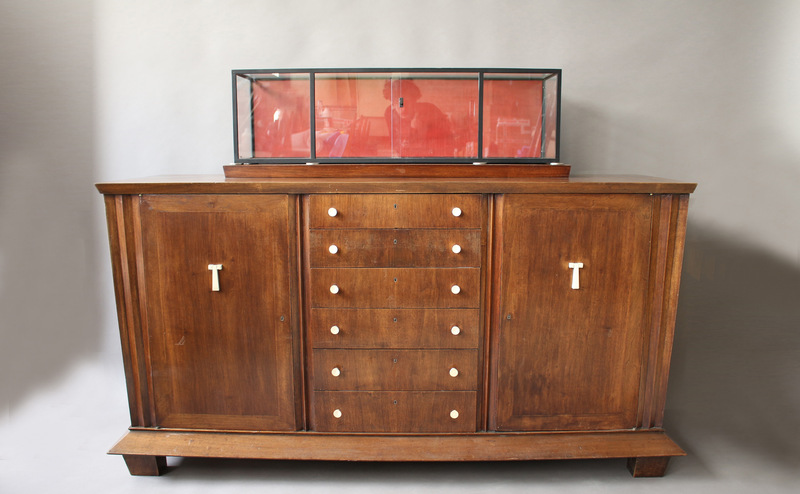 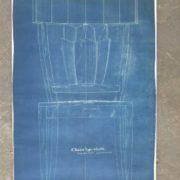 Documentation: Bibliography: Susan Day, Jean-Charles Moreux. 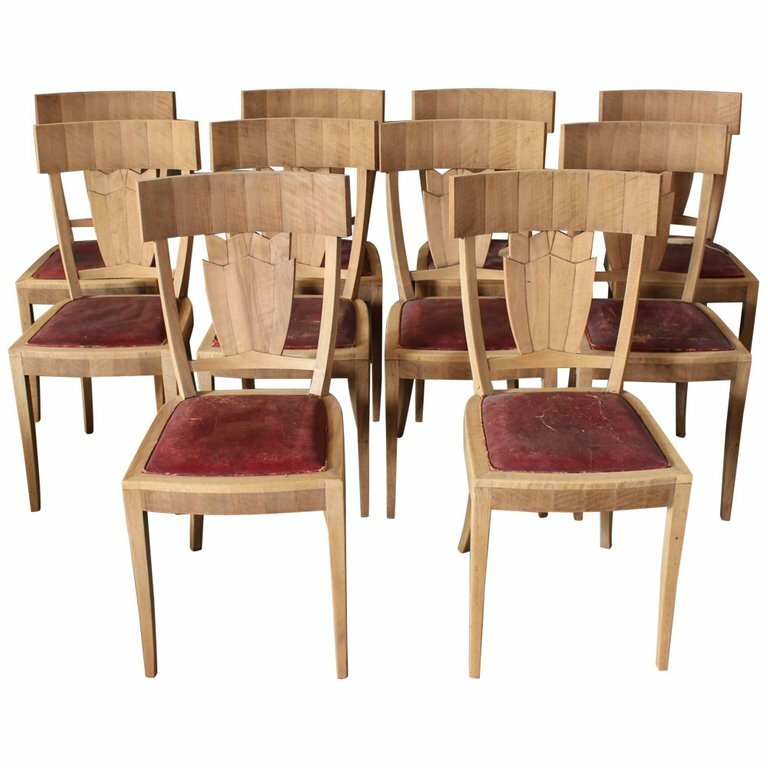 Landscape architect and decorator, Norma Editions, Paris, 1999, projects the buffet and chairs, reproduced p. 49, 51. 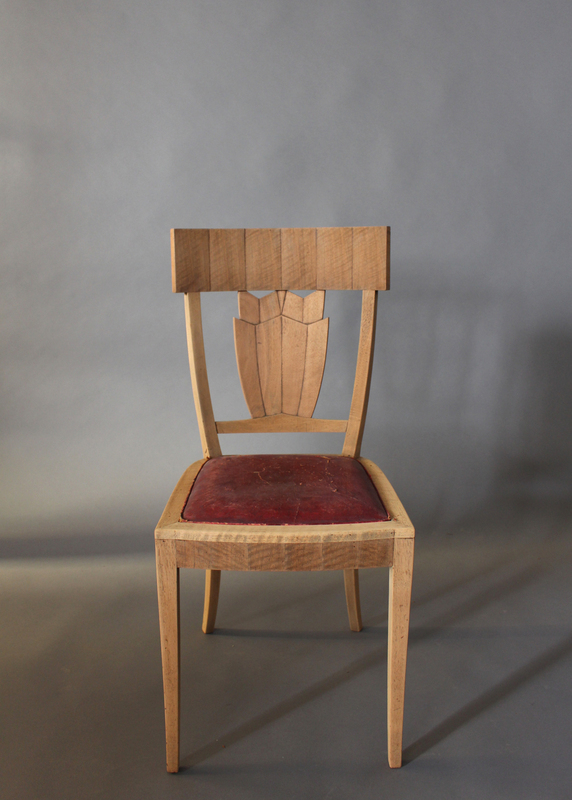 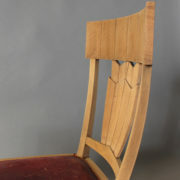 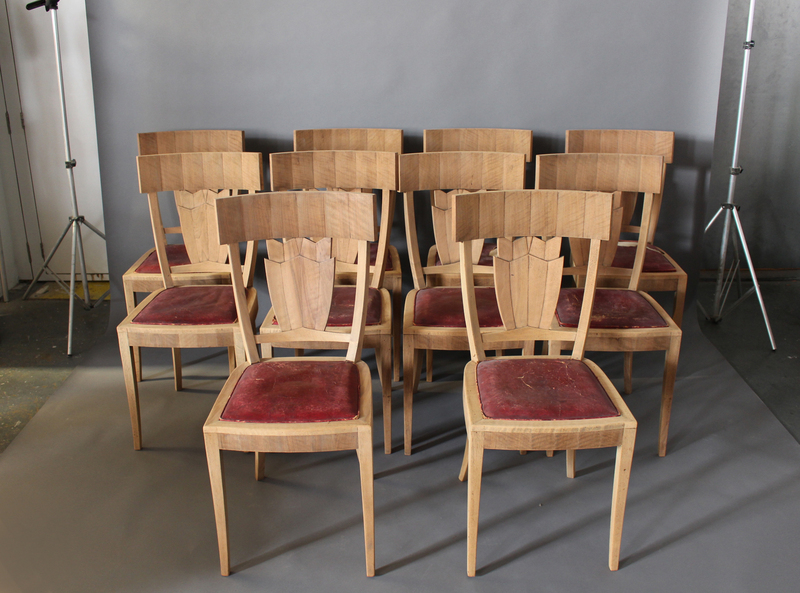 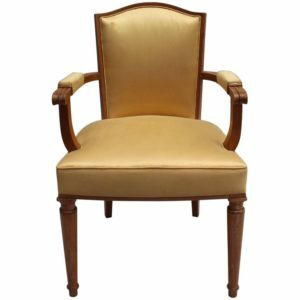 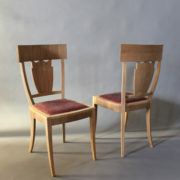 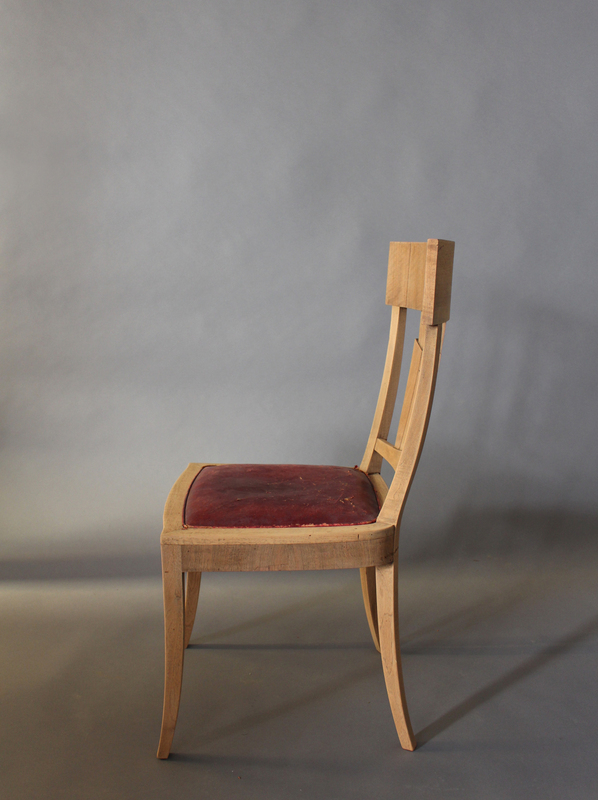 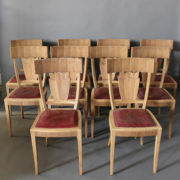 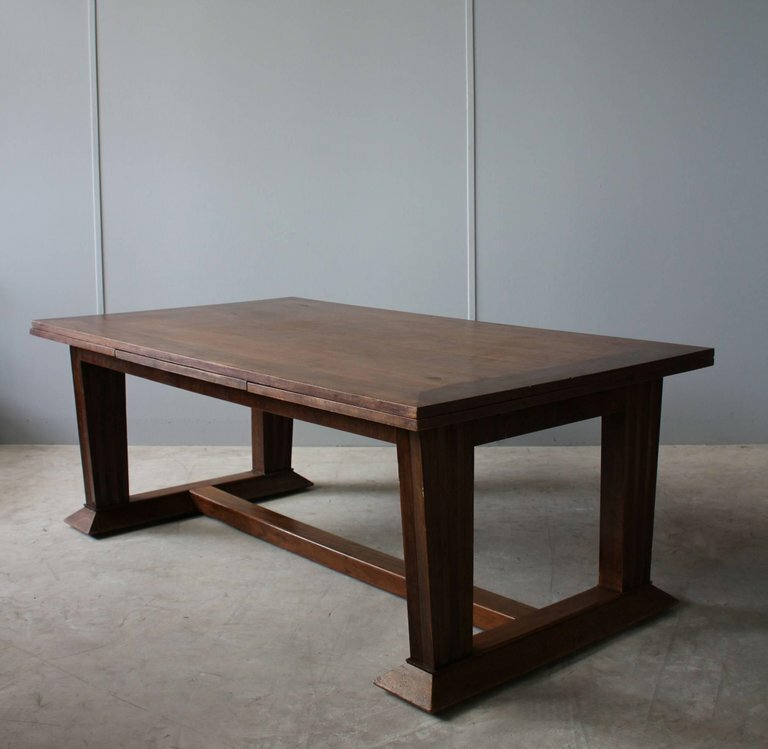 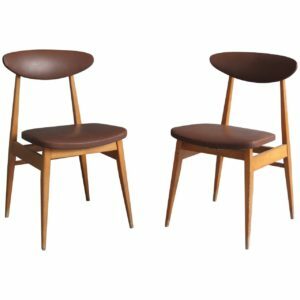 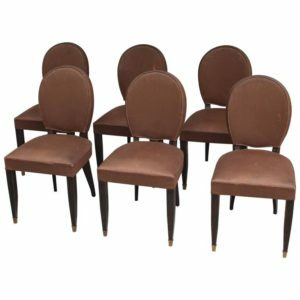 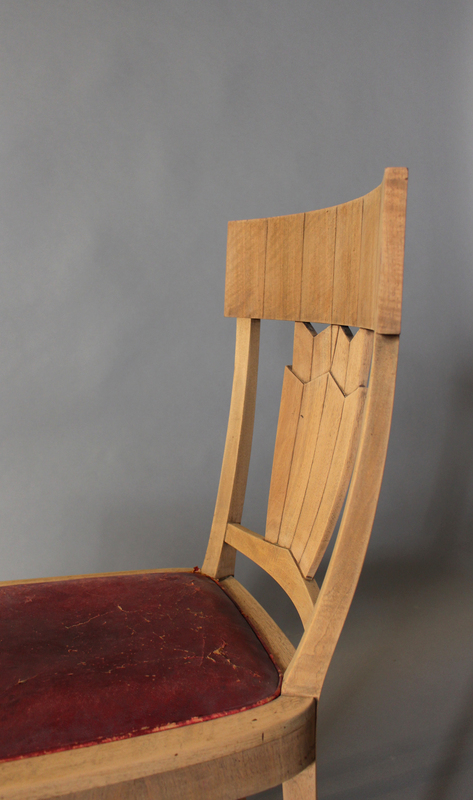 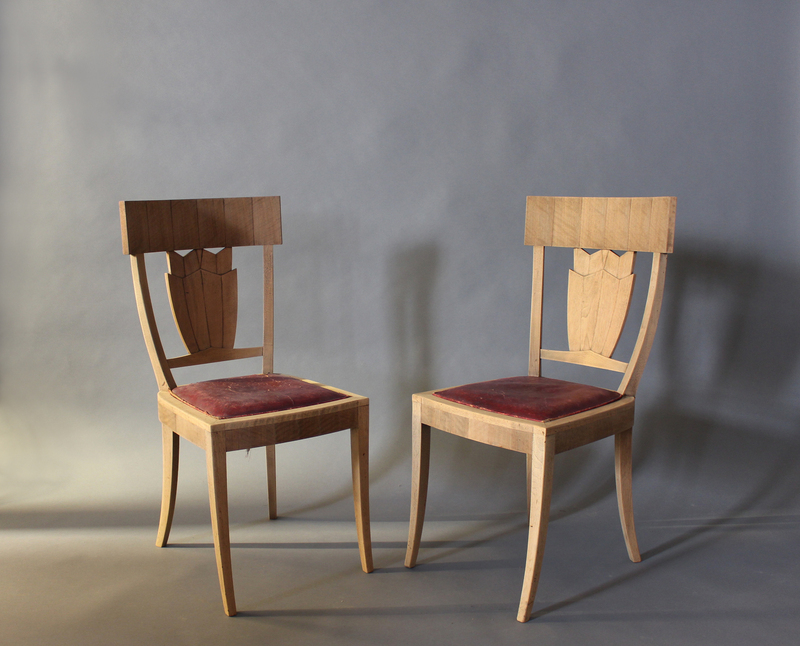 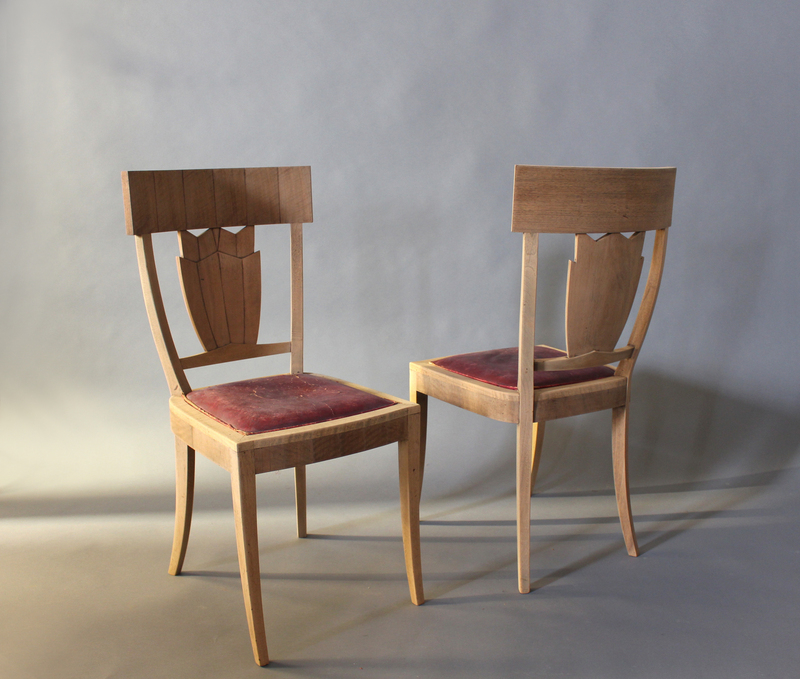 Soyez le premier à laisser votre avis sur “Rare Set of Ten French Art Deco Walnut Dining Chairs by Jean-Charles Moreux” Annuler la réponse.